Most of us never bother to print out our latest photos—after all, they’re all sitting there on our iPhones and Android phones, ready to be flashed on our massive touchscreen displays. But what if a relative wants an actual printed-out picture? Luckily, you can return to the golden age of glossies with help from Kodak. On sale today only for $99.99 (that’s 29% off its list price), the Kodak Photo Printer Dock PD-450 turns your iPhone and Android phone snapshots into gorgeous 4-by-6 prints, no PC or Mac required. 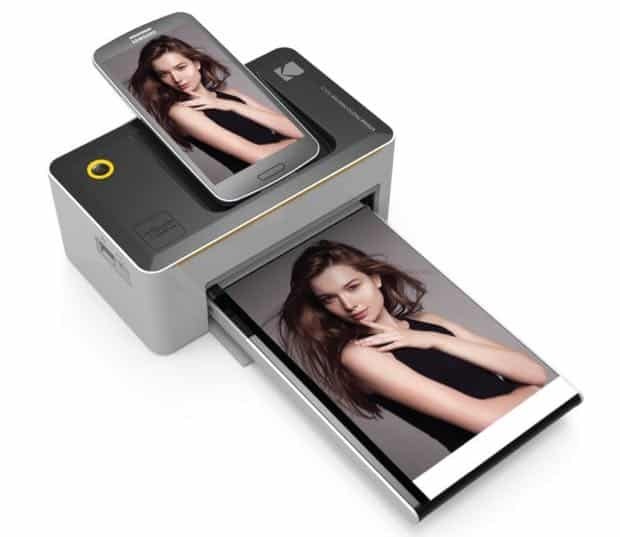 Just plug your Android phone or iPhone directly into the printer (which doubles as a charging dock), press “One Touch” to launch the Kodak printer app, and start printing all those snapshots trapped on your phone’s camera roll. Check out the Kodak Photo Printer Dock PD-450 on Amazon!